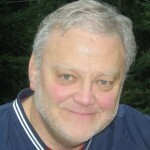 Pastor Ray I. Feather, 63, of Grace Community Chapel, a Grace Brethren church in Mukilteo, Washington, went to be with the Lord on July 23, 2010. A memorial service will be held Saturday, July 31 at 1 p.m. at Alderwood Manor Community Church, 3403 Alderwood Mall Blvd. Lynnwood, Washington. There will be a reception following the service. Feather was born March 26, 1947, in Martinsburg, Pennsylvania. He attended Washington Bible College in Washington, DC, where he met his wife of 41 years, Sharon Mae Benyack. Ray had a passion for studying and preaching God’s Word. He served as a beloved pastor to many over his 45 years of Christian service. Ray shared his love for his Savior with everyone he met. Pastor Feather is survived by his wife, Sharon: children, Scott (Jodi) Feather, Doni (Jason) Weimer, Athena (Matthew) Grady; grandchildren, Asia, Coleman, Raylee, Camden, Addison, Lucas, and Dawson; sister, Peggy (Walt) Bell; nieces; Melissa and Elise and brother Rob Gordon. Memorials may be made to Grace Community Chapel, 9800 Harbour Place, Mukilteo, WA 98275 designated for the Weimer Thailand Ministry. Ray and Sharon’s daughter and family, Jason and Doni Weimer, plan to serve in Thailand as missionaries with Grace Brethren International Missions, Winona Lake, Indiana. Pastor Ray was a spiritual guide and example for me and my family. I only knew him as a child at GBC in Fremont OH but his influence is felt still to this day in my Family. My mother Mary is heartbroken for Sharon and family's loss. Our comfort is that he is with the Lord.